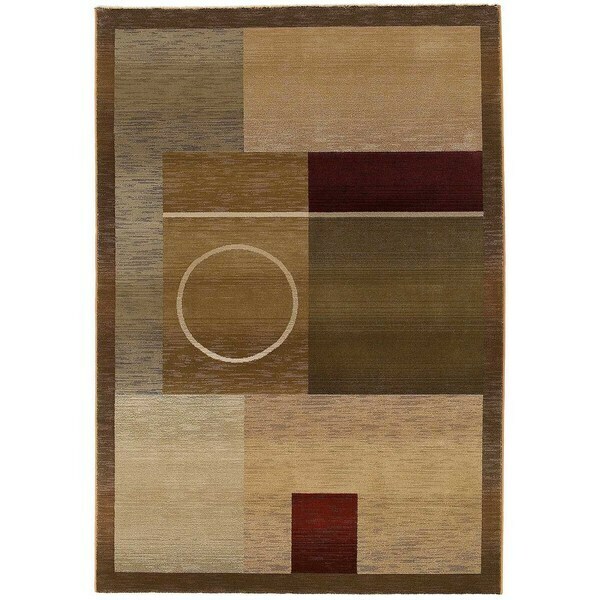 Generations Green/ Brown Rug (5'3 X 7'6) - 5'3" x 7'6"
This area rug features a striking geometric block and circle design area rug in a warm palette of green, brown, beige and red. Constructed in a durable yet soft polypropylene construction this beautiful rug will make a wonderful addition to any room. We bought this rug before and are replacing it.